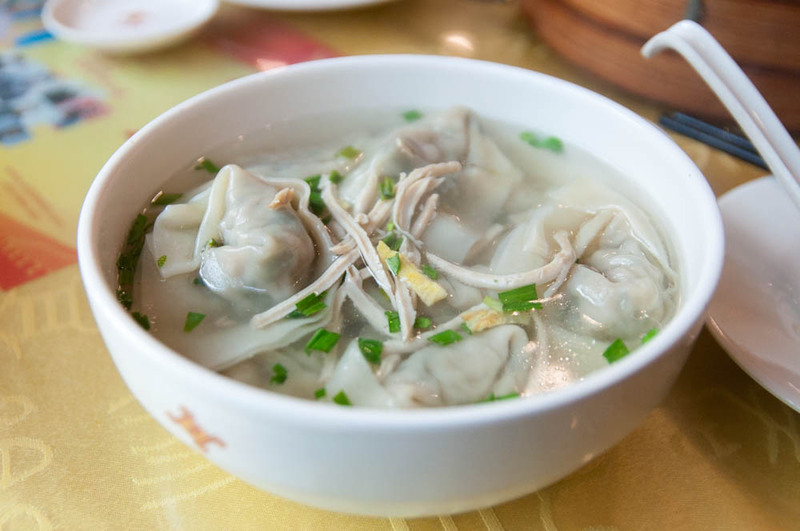 One of the things I must have when I go to China is soup dumpling. My go-to in Wuxi whenever I visit my grandmother is a century old restaurant called Wang Xing Ji (王興記). 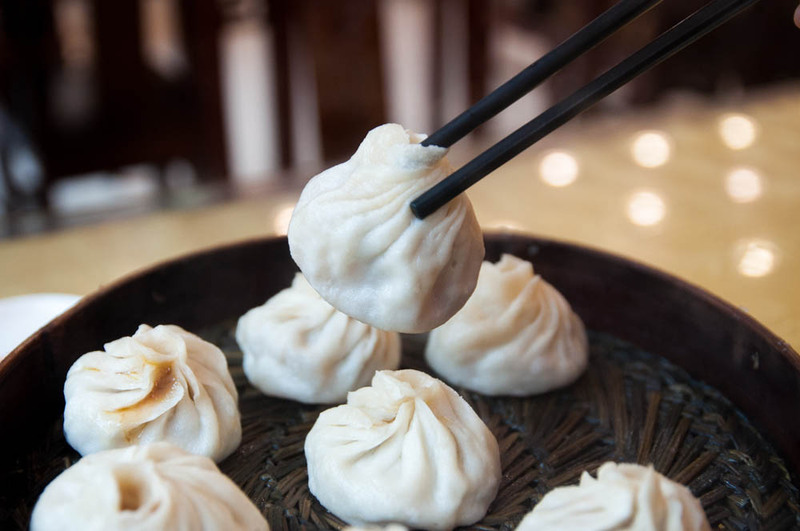 The restaurant is famous for their soup dumplings as well as wontons and other Wuxi specialities. 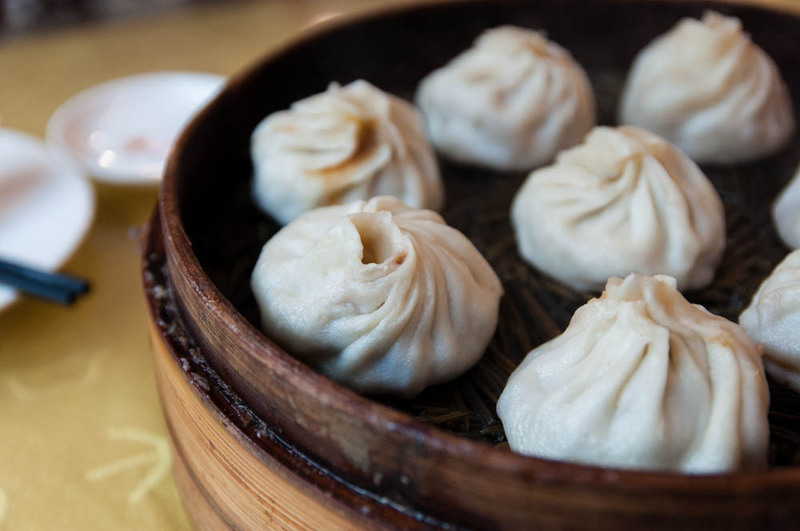 The more casual dining room downstairs is perfect for a quick bite as well as picking up some of the soup dumplings to go. This time around, I stopped by in the morning for breakfast before I headed to the airport. 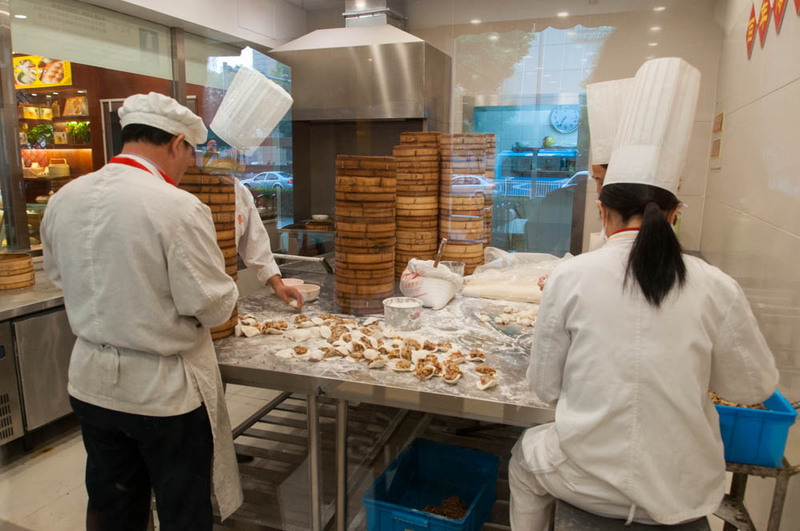 Since it was so early in the morning, they were still busy making the dumplings and stacking them into bamboo steamers. 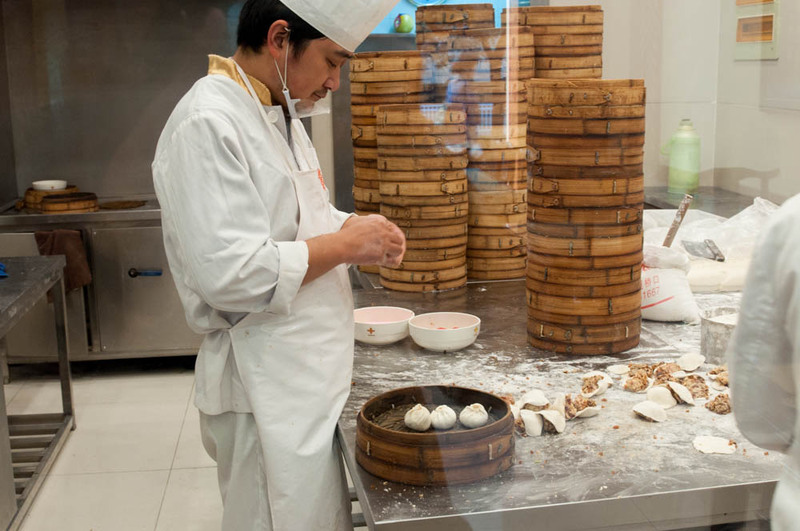 For breakfast, we split an order of 8 crab and pork dumplings, fresh and piping hot out of the steamer. The wrapper is so thin and delicate that you have to be very careful when lifting the dumplings out of the basket, heavy with filling and soup. A small bite to extract the piping hot savory soup is also great way to fill the dumpling with some lip puckering black vinegar dipping sauce. 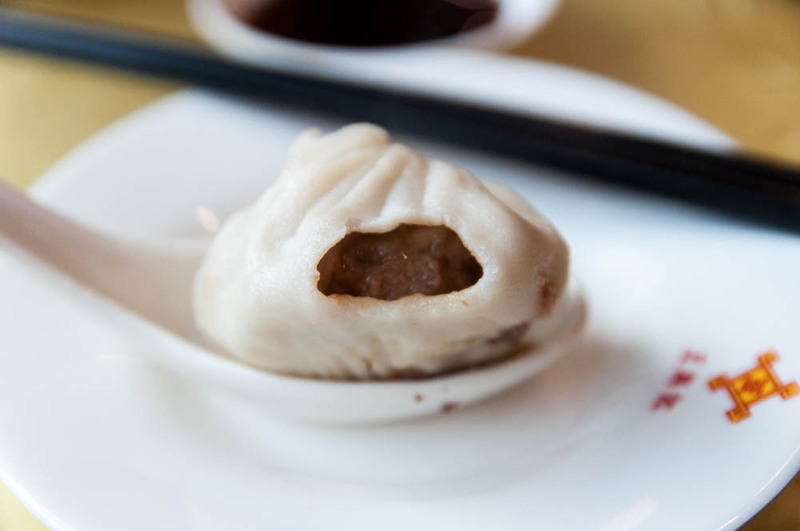 And since Wuxi cuisine is known for a slightly sweeter taste, the filling here is a little sweeter than those at served at Nan Xiang in Shanghai. 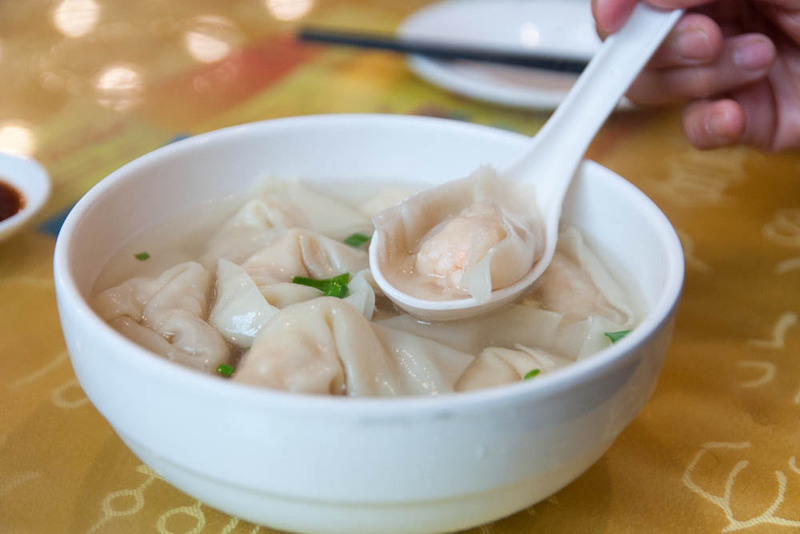 As if the soup dumplings weren’t enough, we rounded out breakfast with bowls of fresh wonton soup. Pork and shepherd’s purse filling for me and pure shrimp dumplings for my mom and grandmother. After polishing off everything on the table, I was ready for my long trek back to New York.